From January 12 to 15, Milan Fashion Week Men’s saw designers deliver a diverse selection of wares —while maximalism has continued to reign supreme, it has materialised in myriad forms as multicultural approaches to craftsmanship merge, layered to the hilt. Streetwear and suiting are united once again and old tropes are reimagined as Buffalo influences are a reoccurring theme. Diesel Black Gold‘s AW18 collection is indicative of a far-reaching worldwide pool of references, yet stands far from overwhelming as artisanal craftsmanship throughout renders the garments cohesive. The largely monochromatic colour palette at play, which is similarly commonplace in many other Diesel collections, ensures the looks coalesce and, once again, stay true to Diesel’s established brand identity. 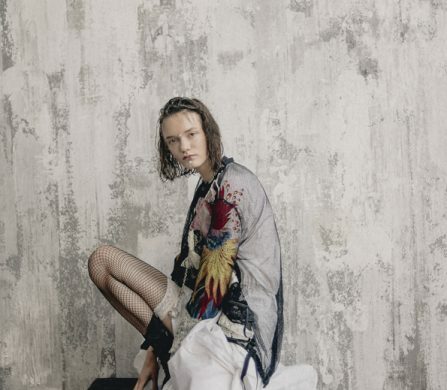 Francesco Risso’s latest collection for Italian luxury fashion label Marni eschews boundaries. Enthused with the dissolution of various distinctions, it features Chinese brocades, Indian ikats, African stripes and English tweeds layered together, connoting interconnectivity and the transience of borders. A seemingly random concoction of components is pulled together, underpinned by the sole notion that the only principle to be followed is, in fact, that there is no principle. Massimo Giorgetti staged MGSM’s AW18 show in Milan’s Università Statale, and appropriately so —his legion of models were all actual students cast from Milanese universities, and the collection is somewhat utilitarian and school-inspired itself. 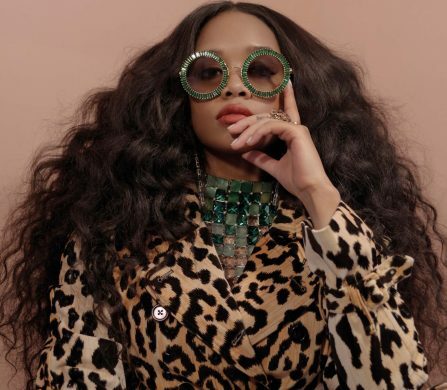 Suits meet street, canonical fashion items incorporate subtle twists and graffiti found on school desks and bathroom walls become reoccurring motifs. Playful attributes such as these, for which MGSM is renowned, are sure to have contributed to the sustained success of Georgetti‘s label, which is fast approaching its 10th anniversary. Loris Messina and Simone Rizzo’s latest iterations of their so-called ‘modernwear’ clothes, which reject outwardly lavish Italian design practices and rather refine streetwear to create wearable yet sophisticated garments, were presented in their AW18 collection ‘Unplug’. Fresh fabric choices, tranquil colours with neon accents, flattering workwear shapes and a deliberate focus on accessories infuse the apparel with the brand’s core codes, enlivening otherwise unassuming looks and evidencing Sunnei’s innovative flair. DSquared2’s AW18 collection features all of the token Western fashion tropes —with cowhide, leather fringe and bolo ties out in full force. It is Dean and Dan Caten’s clever integration of pattern and print with these familiar elements that manages to elevate each look into such a resplendent rendition of Western-inspired attire. Furthermore, the pieces’ versatility; the fact that many of the jackets and shirts can be worn by men and women alike, really sets DSquared2’s latest collection apart. Designing for the multifaceted modern woman this season, with their eclectic presentation of pieces with ample potential to be mixed and matched (“one style is not enough for her” is the brand’s mantra), is Milan based designer Aniye By. Their AW18 collection; sequin-heavy, glamorous and fun, suffuses love and lust. Inspired by India and its dazzling colours and fabrics, it ignites the passion within all of us to party. To find out more information about Milan Fashion Week Men’s, click here.